PROTECT YOUR INVESTMENT - Once the screen is scratched on your Texas Instruments 84 Plus CE, it's a real pain to use. 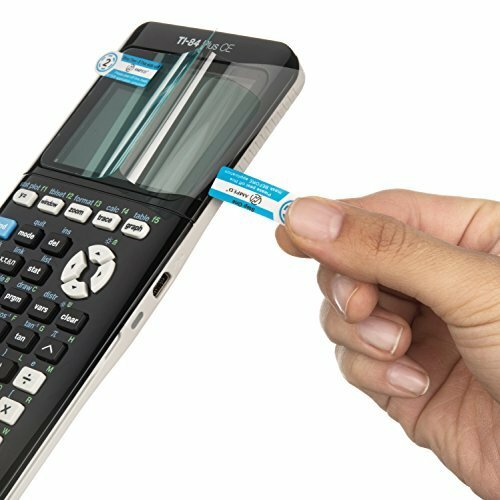 Protect your $150 Calculator with a very easily solution to keep your calculator like NEW while you own it! SAVE MONEY - If you plan on re-selling your item at the end of the semester/school year, what better way then to keep your value by protecting the screen to ensure a high re-sale value? BONUS: Additional TWO pieces included to ensure that you can replace them whenever necessary or give to a friend if you're feeling KIND. If you have any questions about this product by Amped Electronics, contact us by completing and submitting the form below. If you are looking for a specif part number, please include it with your message.